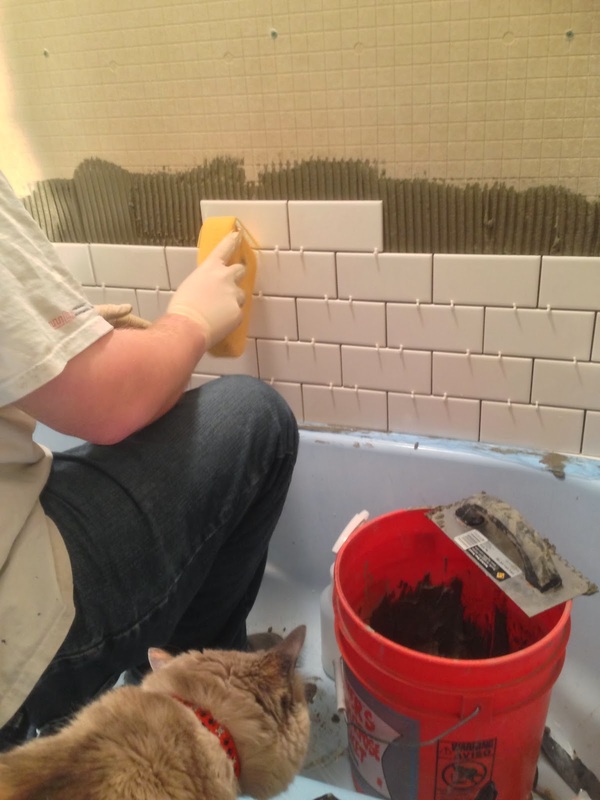 Matt tiled the shower walls. 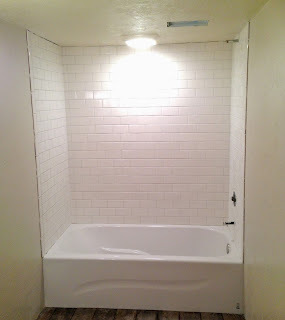 We used four boxes of white subway tile. We spent about $100. Not too shabby! It looks divine! Matt did such a great job. 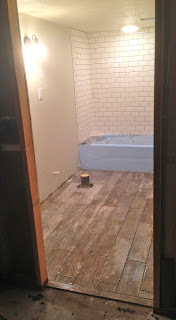 For the floor we chose tile that looks like wood. 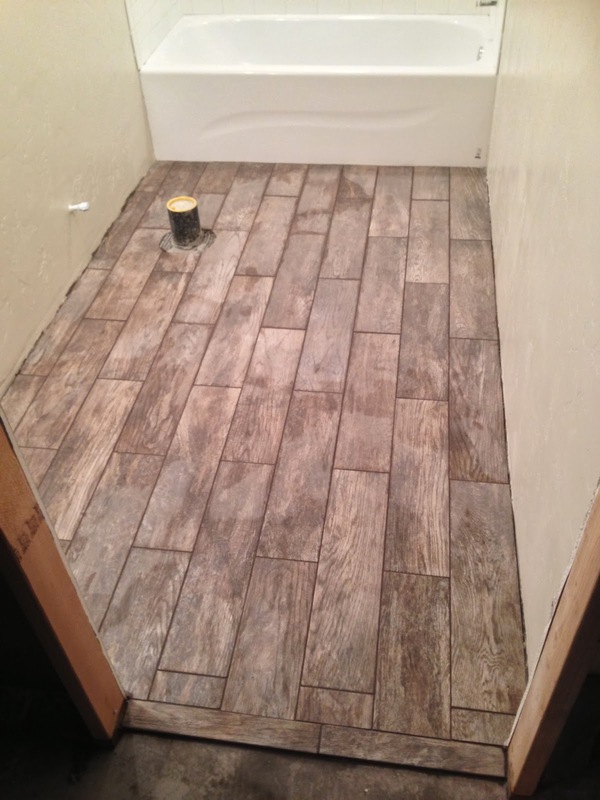 We thought the Montagna Rustic Bay looked the most realistic, so went with this tile. We used three boxes for our floors. All together the floor cost was about $120. 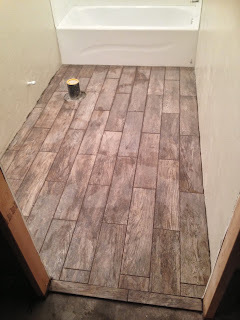 Matt also did a great job on the floor tile. The funny thing about this is the tile box suggested you don't lay these tiles in a 50% brick pattern. They suggest you use a stagger of about 33% brick pattern, or a herringbone pattern. Nope, we broke the rules! We did the unthinkable. I think it turned out beautifully! Matt also finished the electrical and installed the two wall sconces (you can only see one in the picture). 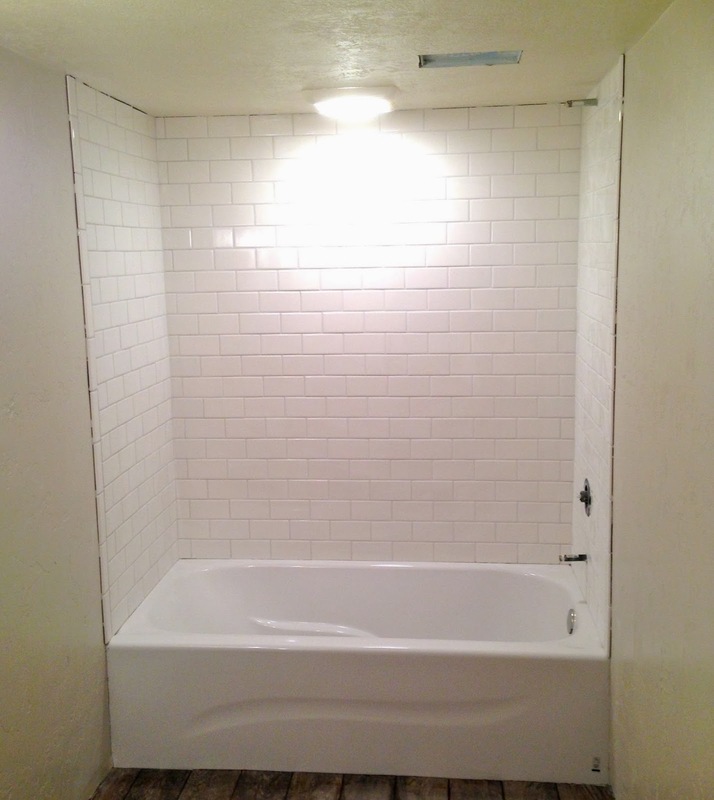 After going back and forth between grey and white grout for a while, we finally decided to do white grout. 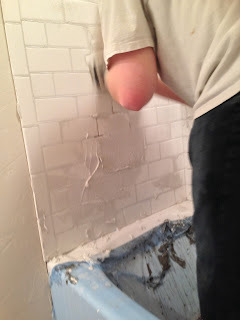 Matt spend hours grouting the shower. All the meticulous attention to detail, his hard work paid off. The shower walls look fantastic! It only took us about 45 mins to grout the floor. The grout we used for the floor tiles is called New Taupe. It is a chocolatey brown color. It goes great with the tile.